Science, reason, and good thinking are concepts that resonate well with the good folk of Winchester. When Winchester Skeptics in the Pub started inviting science writers, broadcasters and academics to come down and talk about various topics from a perspective of empirical evidence rather than faith and superstition our audience quickly outgrow the largest pub venue we can find. Winchester Skeptics is now based in a 180 seat auditorium at the Winchester Discover Centre. We were very keen to team up with the Good Thinking society to help choose the winner of the inaugural Golden Duck award. Myself and two of our regular members presented a compelling case for each the three shortlisted nominees. Marina de Joslin detailed Prince Charles’s Integrated Health Foundation and its consistent and irresponsible promotion of pseudoscience and quackery along with his incessant and unqualified meddling and underhand government petitioning to attempt to influence anti-scientific policy. I considered the case for David Tredinnick, the MP for Holland and Barrett who has used his seat in parliament to advocate homeopathy and radionics. Tredinnick’s parliamentary expense claims for new age astrology software and training courses to enable him to investigate the links between alternative health and astrology make claims for decadent duck dwellings and moat sanitation services seem relatively rational. Finally James Thomas put forward the case for the former doctor Andrew Wakefield whose unethical, flawed and now discredited study into the possible links between childhood autism and the MMR vaccination was at the root of the current rise in vaccination preventable diseases. All candidates fared well in the voting, but it became clear that the one thing the good thinking people of Winchester really can’t stand is a doctor who blatantly abandons and abuses the scientific method. 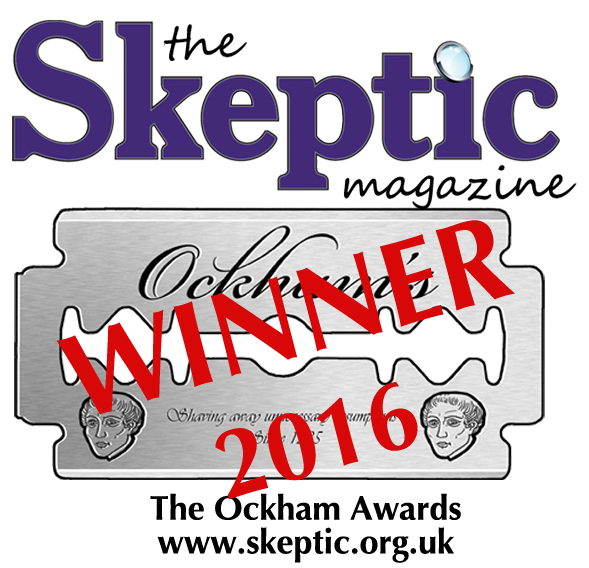 Winchester Skeptics are pleased to nominate Andrew Wakefield for the inaugural Golden Duck Award. Edinburgh Skeptics cast our vote in one of our monthly “in the pub” meetings. The contest came down to a decision between Prince Charles (channelled on stage by Ash Pryce) and Andrew Wakefield. We voted for (against?) Andrew Wakefield in the end, after an impassioned description of the MMR vaccine fraud from a doctor which ended with the frustrated cry “children have died”: a reminder that while the event might be fun, the issues are serious. Ed Skeps plans to hold a more structured debate on the topics highlighted by the Golden Ducks when the awards are voted on next year.